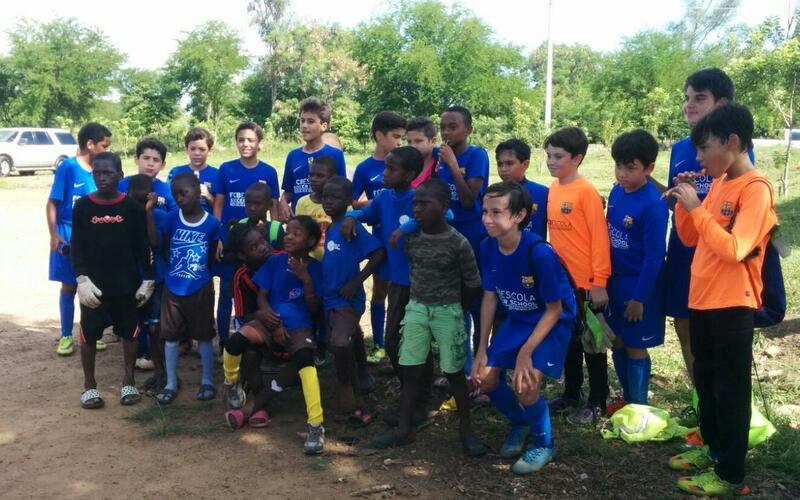 On 5 November, a total of 60 children from the FCB Escola Santo Domingo in the Dominican Republic took part in a day of friendlies at the Fundación Café con Leche. The children “got the chance to discover and appreciate the social reality of their country,” said David García, the Local FCB Escola Project Director in the Dominican capital. The Fundación Café con Leche was founded a decade ago by José Niethammer, a coach on the FCBEscola staff, with the goal of launching a social project aimed at children and youth of the city's poorest neighbourhoods — La Lechería and Caballona. The foundation introduces children to football through training sessions and matches while teaching them values like discipline and self-esteem. The children, who are from different ethnic groups and backgrounds, are thus given a place to interact and grow together, while also learning about violence, drugs, and sexually transmitted diseases, among other social issues.